Do forests really need our intervention? 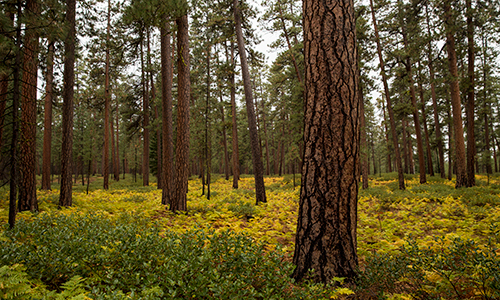 The forest ecosystems of the east Cascades of Central Oregon are complex. All of them are forests that are historically adapted to fire. 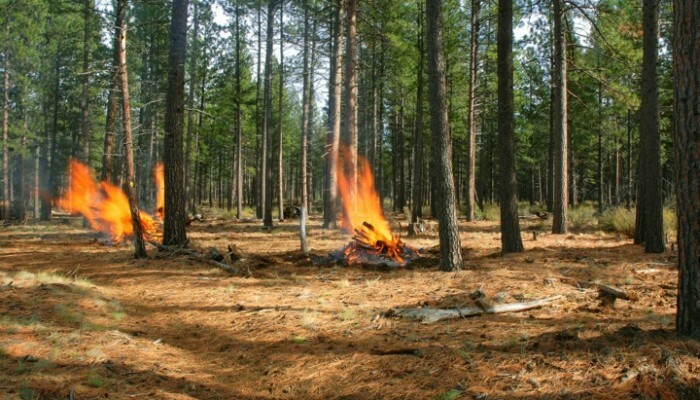 And our mid- and lower elevation forests (think forests of ponderosa pine and mixed conifer species around Sisters, Bend and Sunriver) in particular evolved with frequent fires that burned on average every 10 to 25 years - regularly enough to “clean up” and maintain healthy, resilient forests for millennia. But a history of unsustainable forest management practices has created unnatural forest conditions: overly dense forests, full of young trees...fewer of the older, larger fire-tolerant species…overgrown, shrubby understories. All of this contributes to a lack of resilience in the face of natural fire, insects, diseases and climate change. It’s negatively impacting the plant, fish and wildlife communities that rely on and thrive in these fire-adapted forest conditions. And it means we now face a greater likelihood of high magnitude and high severity wildfires, which threaten the values we care about—and the forest itself. Leaving these unhealthy, overly dense forest stands untreated is not in the best interest of nature or people. In some parts of the forest, we are past the point of allowing nature to take its course. These forest stands need our help to get back to health. The solution is ecologically-based forest restoration. Carefully planned and implemented forest restoration is the best path forward to improve fire-dependent habitat, reduce risks from out-of-control wildfire, steward the forests, and protect all the values we care about so deeply. 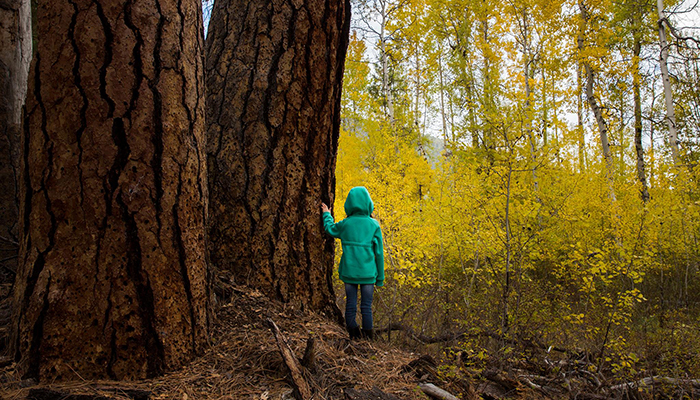 The Deschutes Collaborative is working to increase forest and watershed restoration efforts to help put our forests on a trajectory to be healthy again. 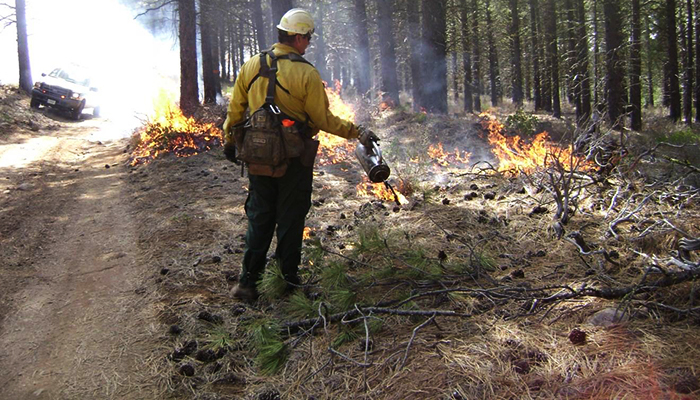 Our projects are lowering the threat of unnaturally large wildfires across 250,000+ acres of public forest in Central Oregon. Restoration projects begin with a thorough planning process to develop a management strategy, including data collection and analysis, as well as engagement with the DCFP and the public. 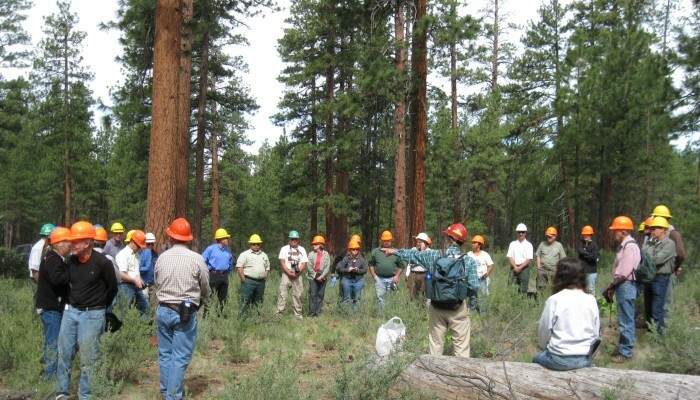 Trained Forest Service professionals then mark which trees will be retained, and which can be removed to restore more natural forest conditions, reduce risk of large, high-severity fire, make our communities safer, improve wildlife habitat, and produce local forest products. 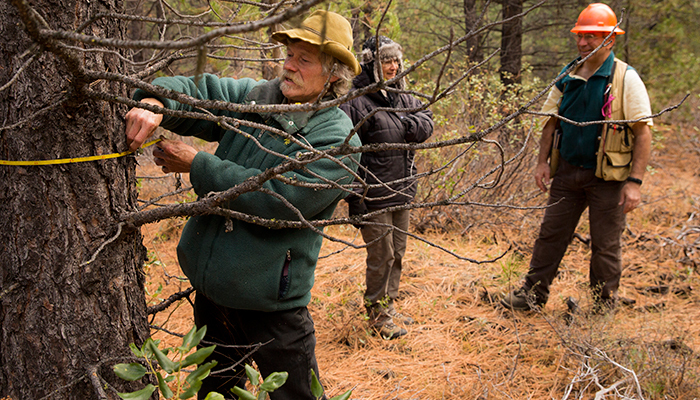 Professional loggers then enter the area to carefully thin the forest, leaving the largest and healthiest to grow into the resilient forest of the future. Much supervision and discussion takes place to ensure heavy equipment disturbs as little area as possible to get the work done. 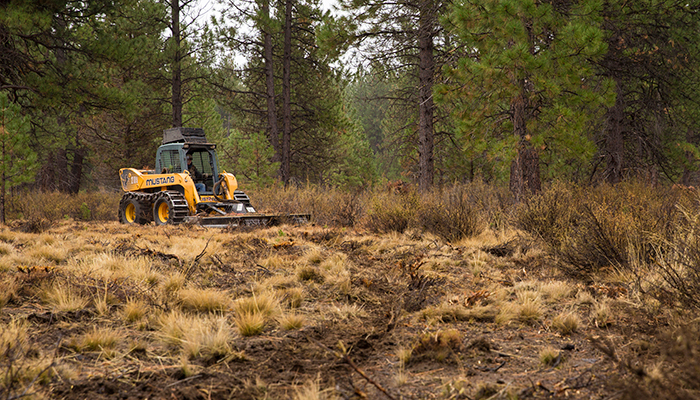 In some cases, portions of the project area are mowed to reduce overly-dense shrubs that have grown up with the absence of frequent, low-intensity fire and prepare the area for controlled burning. Some debris—small trees, tree tops, branches, undergrowth—may be piled for later burning when wildfire risk is low. Controlled burning is often the final step in forest restoration, a critical natural process that makes the forest more resilient and our communities safer in the face of future fires. 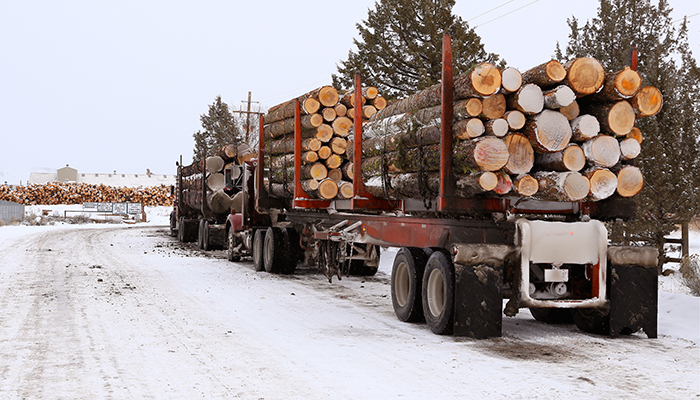 Harvested trees are used in commercial products ranging from lumber to wood chips to biomass. The value of the harvested trees helps offset forest restoration costs and generate additional local economic benefit in the production of these products. A restored forest also sustains important wildlife, plants, wildflowers, and grasses, many of which are dependent on frequent, low-intensity fire. Improving stream habitat for fish is also a focus of restoration work in the DCFP landscape. 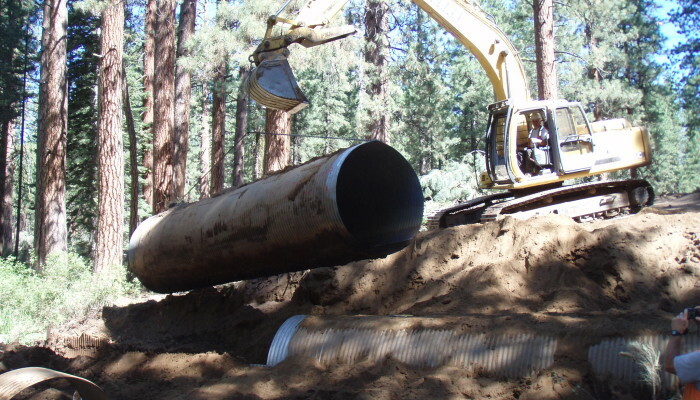 Such work can include restoring stream channels, replacing or removing culverts and reconnecting streams with their floodplains. 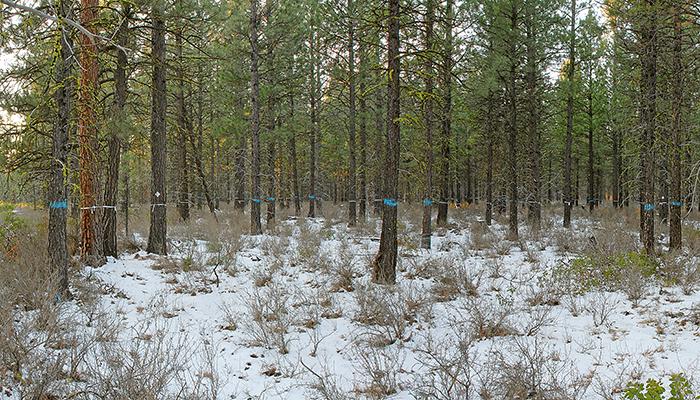 Before, during, and after the restoration work, scientists, community stakeholders, students, and Deschutes National Forest professionals monitor and gather data to ensure that projects are done correctly and to measure the impacts (positive or negative) of restoration work. 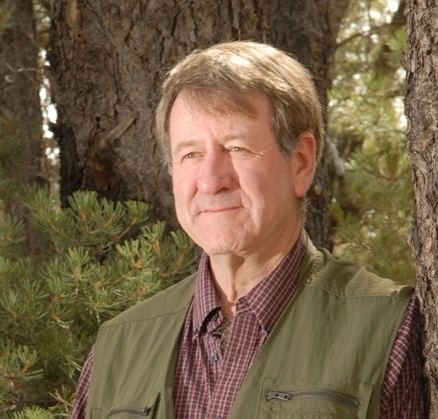 And the results are benefiting nature and people: healthier and more natural forests, reduced risk of large, high-severity wildfires, improved habitat for fire-dependent plants and animals, safer communities, and a stronger local economy that is dependent on a healthy, resilient National Forest. 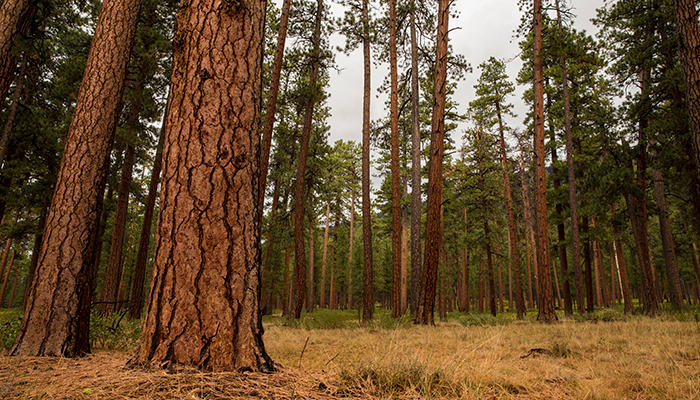 The Deschutes Collaborative Forest Project has resulted in the restoration of tens of thousands of acres of forest...and more is planned in the months and years to come. These forests are healthier and more resilient. 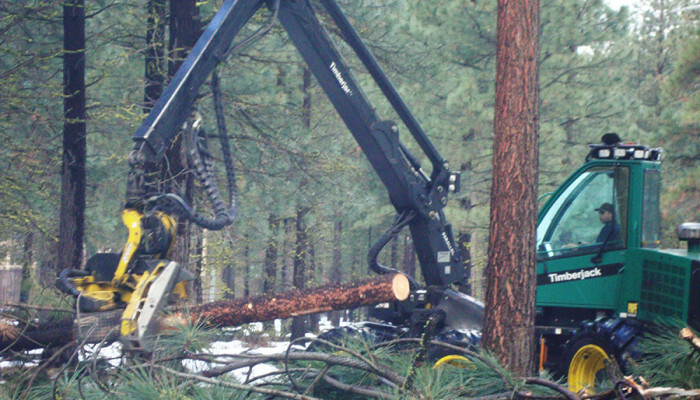 About 400 jobs have been created through projects in the DCFP landscape, ranging from harvesting and processing of the small and medium-sized trees that come from restoration projects to producing value-added goods from restoration by-products, like pine paneling, wood fiber, and forest biomass products.